Caroline Constas is one of the first brands we look to when packing for a warm-weather escape. 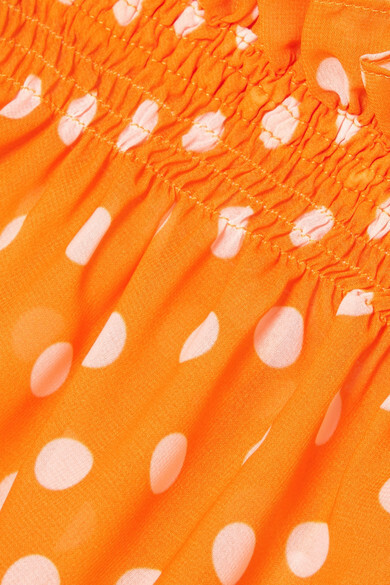 These tropical-hued shorts are cut from breathable polka-dot chiffon and traced with flouncy ruffles at the waist and cuffs. Wear them with the matching top over a pretty bikini. Shown here with: ATP Atelier Sandals, Alighieri Bracelet, Jennifer Fisher Ring, Chloé Bracelet, Laura Lombardi Earrings, WALD Berlin Necklace.